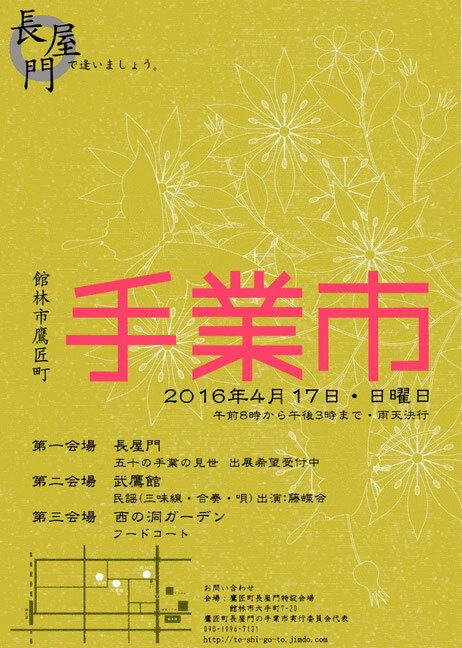 The event is scheduled to take place at three areas from 9am to 3pm on Sunday, 9th of April 2017: An exhibition-sale of commodities will be presented outside the gate of Nagayamon and an open-air concert of handbell music will be performed at Buyokan. 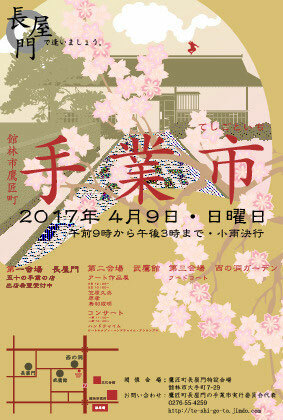 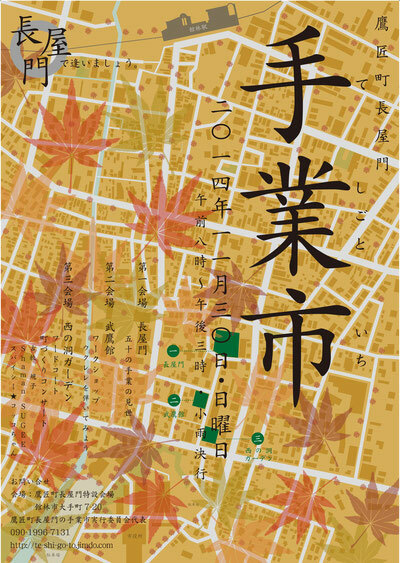 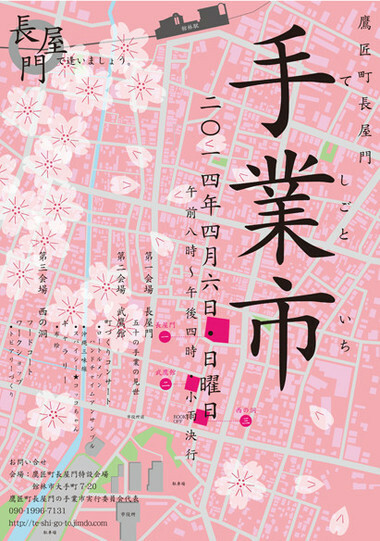 Furthermore, the works of art,including paintings and sculptures are exhibited by local artists in the gallery of Buyokan during the period (7 to 9 April). 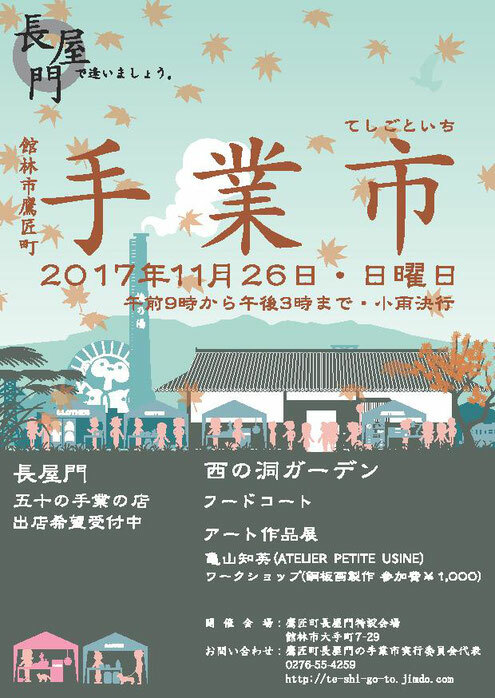 The refreshment corner is available at L’autre Maison Nishinohora, can be a calm spot to relax and take a stroll down in a path.